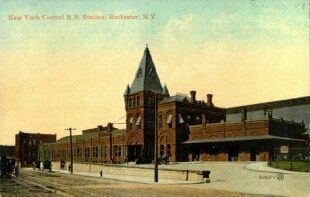 This web site is sponsored by Rochester Model Rails model railroad newsletter for the promotion of quality model railroading. The RMR is distributed free, only on the Internet, via e-mail or on this website. The current issue and back issues can be viewed on this site. Click on Newsletter above. We welcome submissions of railroad model articles, plans, and photos. Photos can be hard copy prints or digital images. Text should be in Microsoft Word, 12 point, arial font.